His father is the sculptor Luigi Fontana. Lucio Fontana attends the Istituto Tecnico Carlo Cattaneo in Milan as of 1914. He serves in World War I in 1917, however, he is dismissed as early as in 1918, because of an injury, so that he can complete his engineering studies. He studies sculpting at the Accademia di Brera in Milan in 1920, but soon follows his family back to Argentina in 1922, where he works in his father’s sculpting studio. He has his own studio in Rosario di Santa Fé as of 1924. In 1928 he goes to Milan again and studies at the Accademia di Brera. Besides figurative sculptures, he also makes terracotta reliefs and painted gypsum plates as of around 1930. 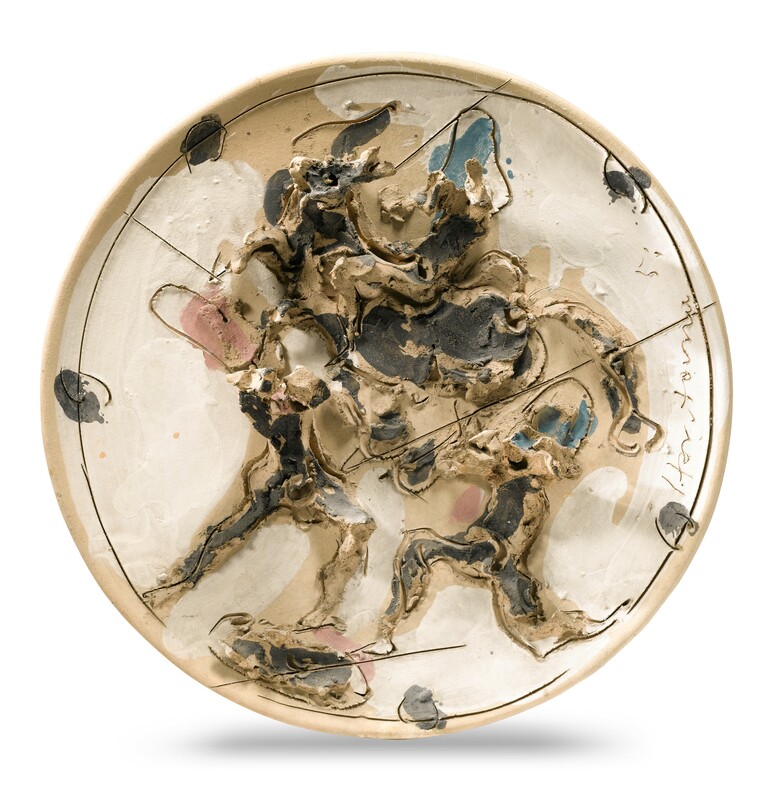 In 1934 he and Fausto Melotti, Atanasio Soldati, Mauro Reggiani join the Paris artists group “Abstraction-Création”. 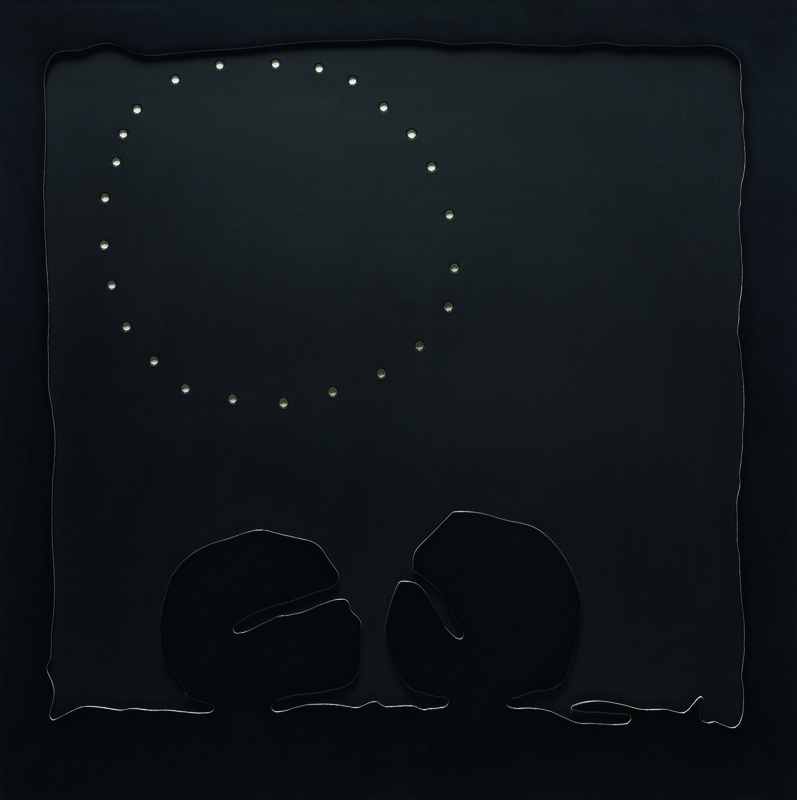 They set up a manifesto on abstract art in 1935, Fontana’s first one-man show with abstract works takes place the same year in the Milan Galleria del Milione. 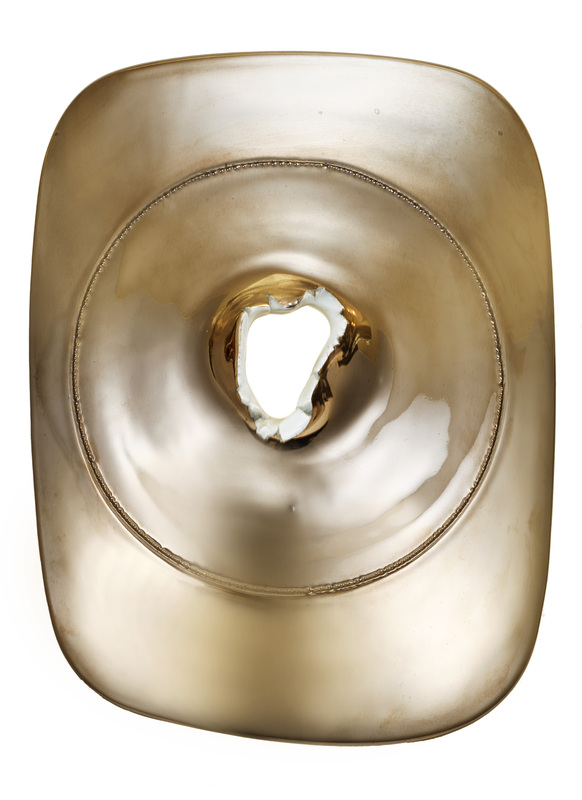 Lucio Fontana lives again in Argentina as of 1939, where he founds the private academy Altamira in 1947, he and his students at the academy compose the “Manifiesto Blanco” (white manifesto), demanding the synthesis of artistic genres and the renunciation of traditional materials. Back in Milan in 1947, he founds the “Movimento spaziale” and writes the “Primo Manifesto dello Spazialismo”, demanding a new form of space-oriented art. Two years later he realizes the projects “Ambiente nero” and the first “Ambiente spaziale” in the Galleria del Naviglione: objects painted with fluorescent colors in a darkened room are illuminated by an ultraviolet light. He composes the second manifesto of the Spazialismo the same year, followed by the third in 1950 and the fourth in 1951. He executes the first perforated canvasses in 1949, they all carry the title “Concetto spaziale” (Space Concept). 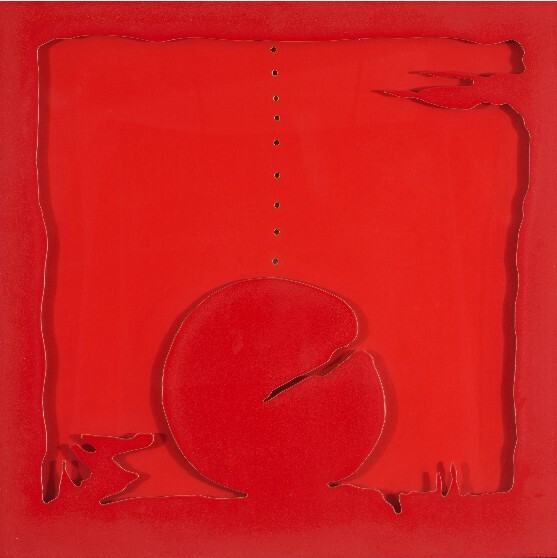 Lucio Fontana pierces the canvas, thus opening the image area, entirely doing without the conventional illusionist means of composition. The series of the “Pietre” is made in the 1950s, stones and canvasses beset with pieces of color glass that make for elevation that extend the image space into real space. 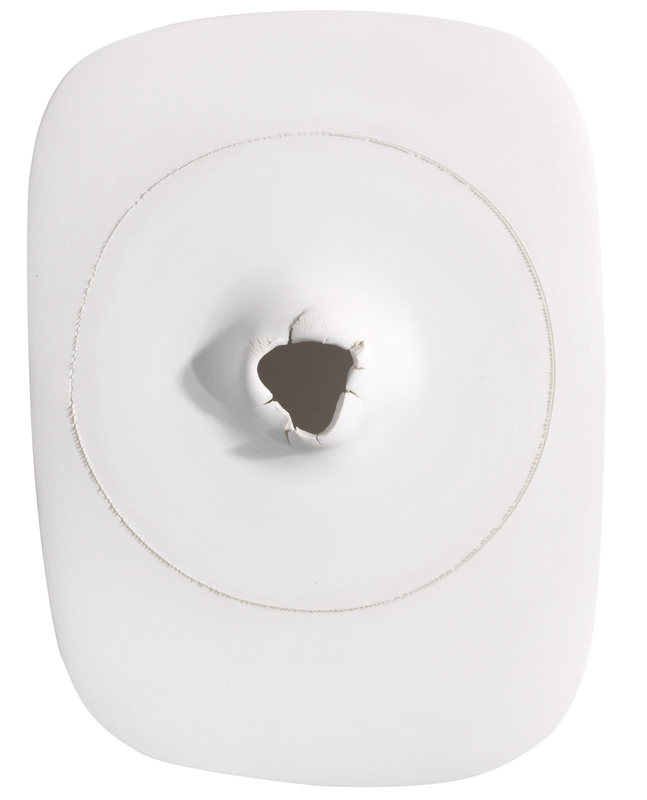 In 1958 Lucio Fontana begins to slash monochrome painted canvasses. 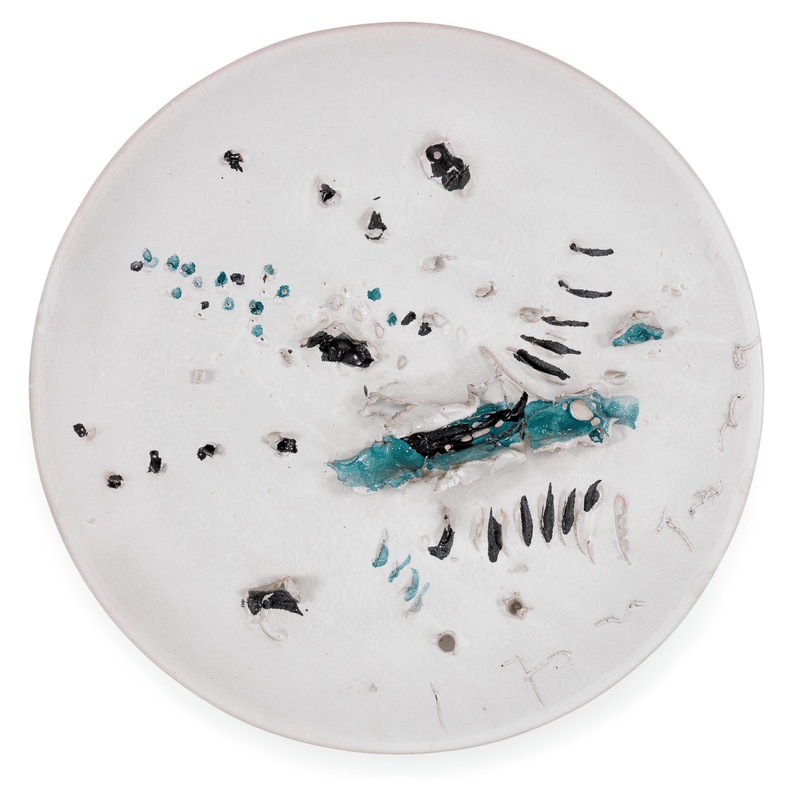 As of 1960 he combines the holes and slits with pastose color areas mixed with sand into which he makes scratches. 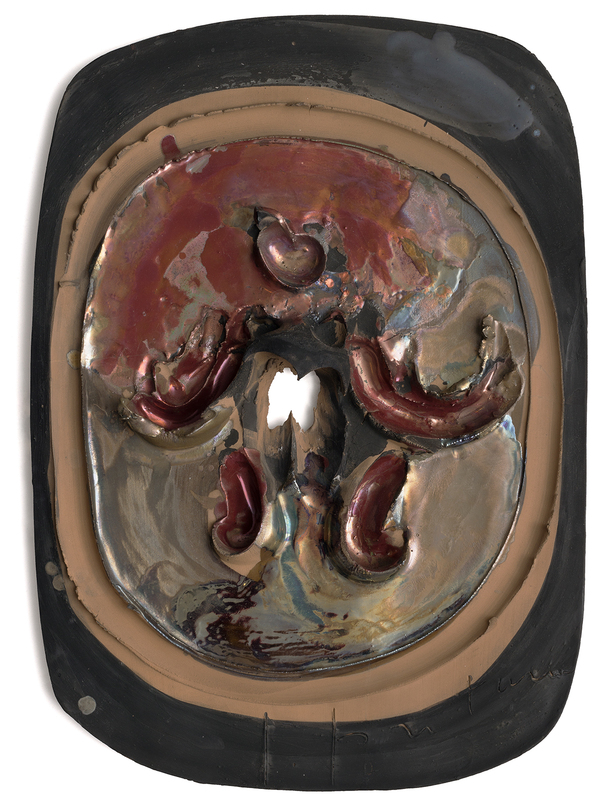 At a later point he makes bronze objects, the “Nature”, with gaping gashes and dents. 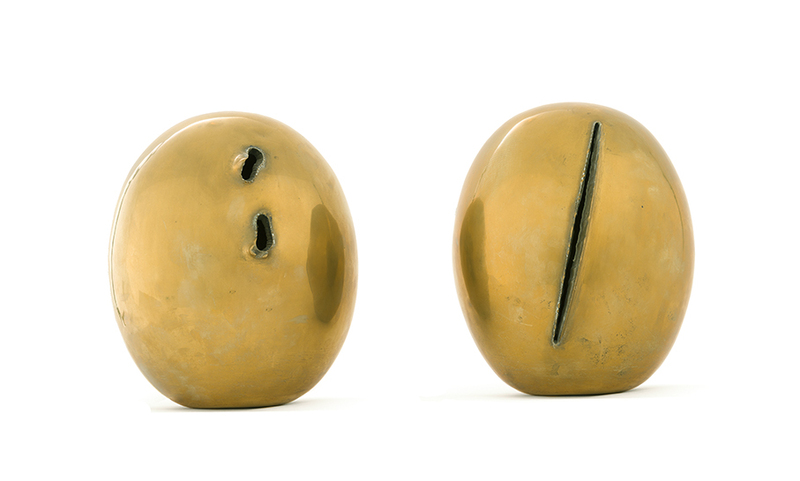 The series of works called “La fine di Dio” is made as of 1963.